Melanie Leneghan, R-Powell, issued a press release Monday in the wake of her filing a petition for a writ of mandamus with the Ohio Supreme Court to compel the Secretary of State to void the ballots of 16 precincts cast during the May 8 primary in Muskingum County. 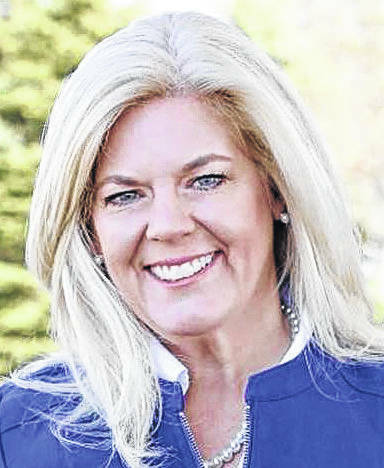 Leneghan placed second to Troy Balderson, R-Zanesville, in the May 8 Republican Primary for the nomination to run in the August Special Election and November General Election for Ohio’s 12th Congressional District. She trailed Balderson by only one percent of the total vote in the district. According to the petition filed in the Court, Leneghan is accusing the Muskingum County Board of Elections of fraudulent acts during the June 6 recount of the May 8 Republican party nomination to Ohio’s12th Congressional District ballots. She is asking that the ballots in the 16 precincts be set aside and not counted in certifying the Republican primary election of May 8th. Leneghan’s legal team filed the writ of mandamus Thursday with the Court seeking to compel Secretary of State Jon Husted, the Muskingum County Board of Elections and the Franklin County Board of Elections to amend or certify the recount results. Ultimately if the court decides to take Leneghan’s desired course of action, the Muskingum County Board of Elections could be ordered to hold a new election. Leneghan’s press release states the purpose of a recount is for a candidate to verify the votes in the initial results to make sure the results are correct. However, Leneghan’s legal team allege that two days prior to the scheduled recount date of June 6, which representatives from both the Leneghan and Balderson campaigns were to observe, Muskingum County BOE staff opened the sealed boxes containing the ballots. “On June 5th one day prior to the scheduled recount where by law the ballots are to be unsealed, and not before, they scanned the ballots, submitting these totals as official recount totals, all felony violations of Ohio’s election statutes,” as stated in the press release. “Muskingum County’s unlawful actions denied both the Leneghan campaign, who requested and was paying for this recount, and the voters, of our rights leaving us no other choice but to file a writ of mandamus asking the courts to right who and what had been wronged,” stated attorney Peggy Guzzo, who filed the action with the Ohio Supreme Court. Leneghan has contended since the day after the primary election that the number of votes in Muskingum County was inconsistent with the other counties in the 12th Congressional District. “Muskingum County wasn’t in line with the other counties,” she said in a earlier interview with The Gazette. Clymer is a 47-year resident of Muskingum County and is also named as a relator in the mandamus action. “In the remaining 92% of the 12th district, Leneghan won by a whopping 5% over Troy Balderson who carried only 24% of the votes, but in Muskingum County, 8% of the district, Balderson was reported as getting 77% of the votes,” Clymer added in the release. This entry was tagged D. Anthony Botkin, Kay Clmyer, Melanie Leneghan, Muskingum County BOE, Ohio Supreme Court, Peggy Guzzo. Bookmark the permalink.